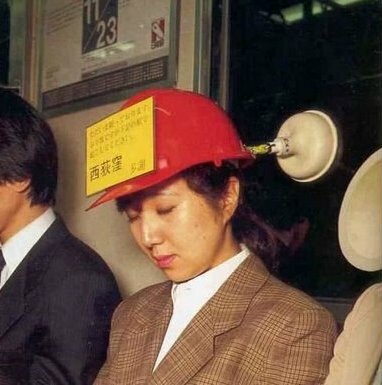 Everything Japanese: Creative Japanese Inventions! 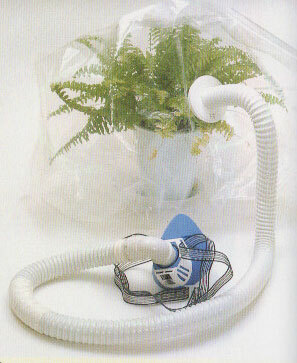 A natural oxygen mask directly from the plant. Perfect to escape the air pollution. 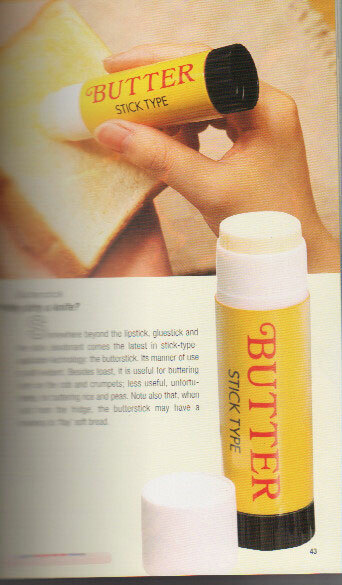 A very easy way to spread butter evenly on your slice of bread. Just do it like pasting a piece of paper. 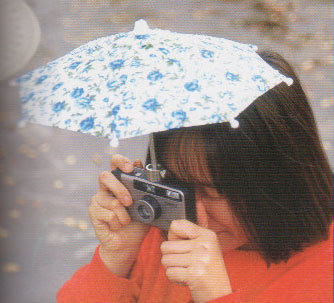 A camera with an umbrella attached. 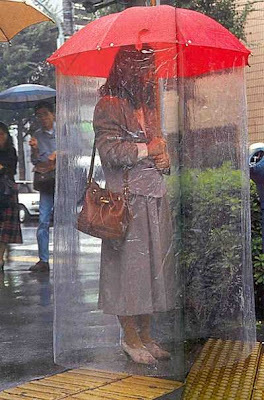 Japanese already have ideas to prevent camera from becoming wet on rainy days with this simple tool before the water-proof cameras are made available. 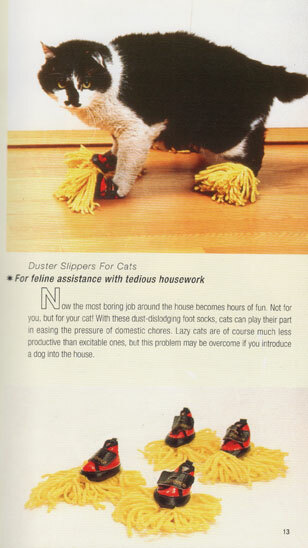 A very convenient way to clean your floor when you are feeling lazy. Just let your cat do it. 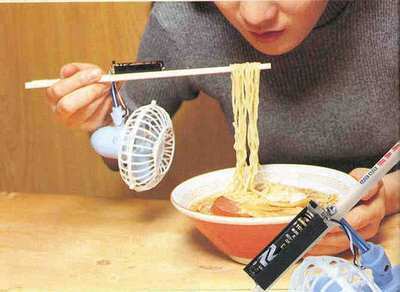 A portable fan attached on the chopsticks to cool your hot noodles fast while you eat. 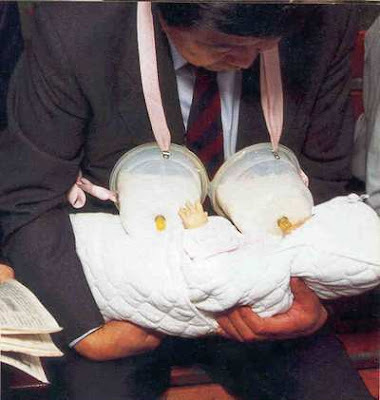 A creative way to feed the babies for the men in Japan. 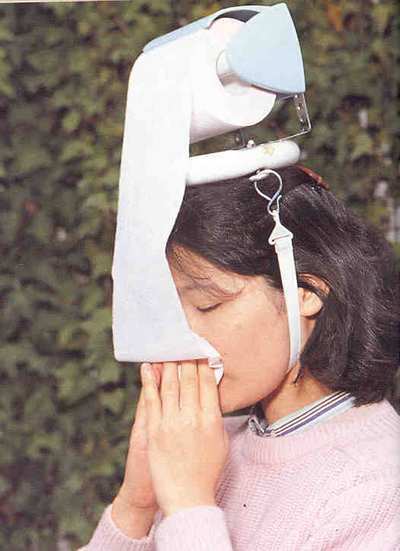 A roll of tissue attached on top of the head like a hat solves the problem of running out of tissues. A pair of eye funnels for the lousy aim. 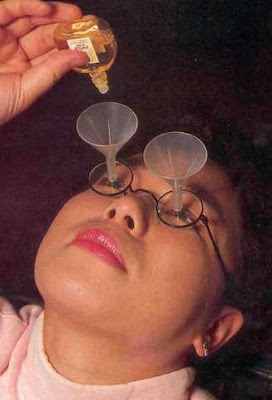 Very convenient. 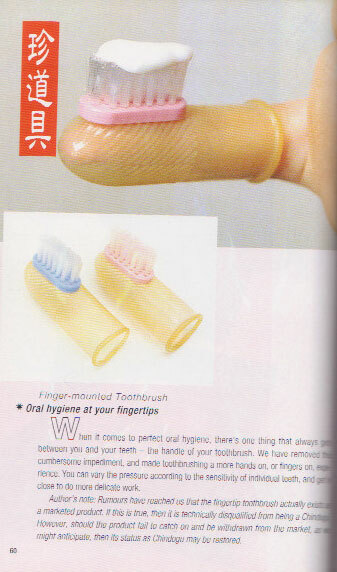 An easy way to brush teeth. 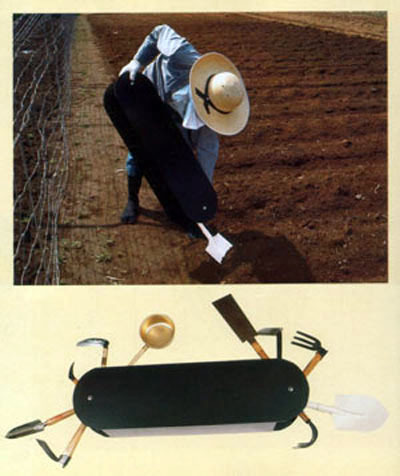 A giant 10-in-1 gardening tool for multipurpose use. 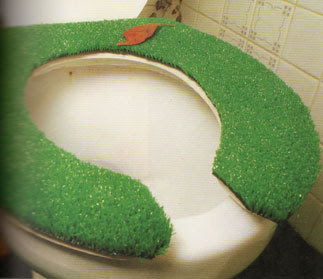 A grass cover for the toilet seat to give the user a good feeling of nature. 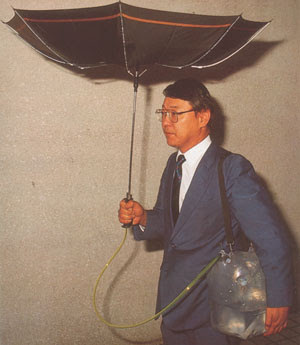 An umbrella that collects water for free. A chin hanger to help those without a seat in the train to sleep. 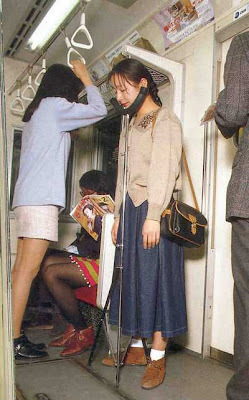 A helmet with a sign asking others to wake the user when arrive and a sucker to help stabilize it. 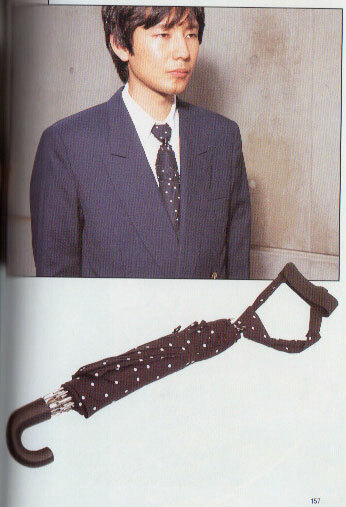 A necktie with the function as an umbrella. A head-to-toe umbrella to prevent getting wet in heavy rain. 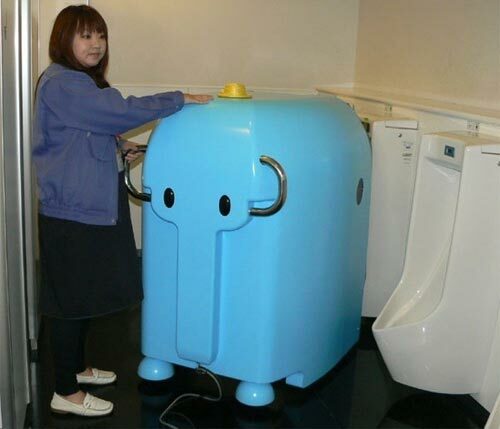 A giant elephant machine that helps to clean the urinals.